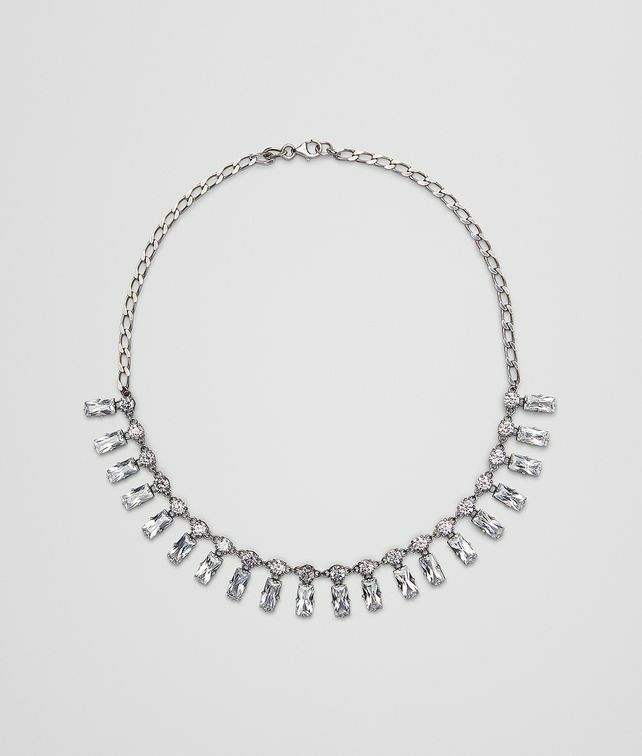 This necklace is made with round and baguette-cut zirconia stones set in sterling silver with an antique finish. New for Spring/Summer 2019, the necklace reflects the collection’s return to essentiality, interpreting Bottega Veneta’s innate sophistication and heritage of craftsmanship with a modern sensibility. Length: 43 cm | 16.9"